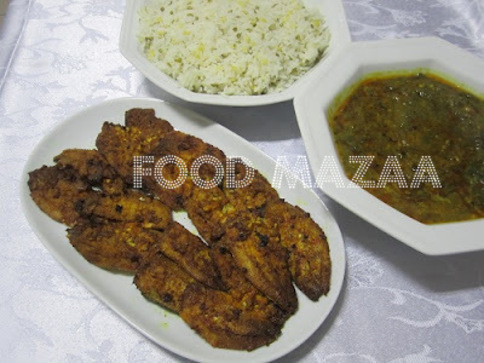 Sardines fried with spicy masala make a perfect accompaniment with dal chawal/pulaos. You can enjoy them like a snack too. 1. Clean and slit the sardines lengthwise and remove the center bone carefully. Now-a-days you get ready-to-use ones in the stores. 2. Mix all the ingredients (except rice flour and oil) and rub on the sardine fillets. Marinate and set it aside for a few hours. 3. Before frying, sprinkle a little rice flour on the fish. 4. Heat oil in a pan and deep fry them. I have served it with Sai Bhaji & Khichni. Yes, with anything Priya .. love them too. OMG! 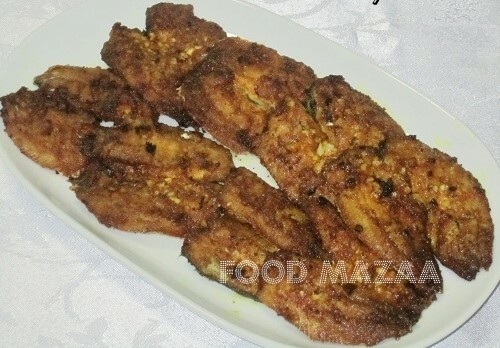 Lovely and crunchy fish fry, Droolworthy. Tempting and delicious fish fry..
Makes me drool,perfect and tempting fish fry. Yummm! My mom used to make something like this - which had a prominent flavor of lemon and pepper - took be back to those days! This is lip-smacking good. Given the benefits of this fish, I would love to try it soon. Mouthwatering here, thats a super flavourful fry. 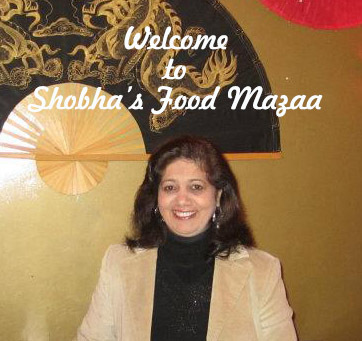 Hi Shobha, was wondering what happened to you. I usually receive lot of entries from you and was surprised you did not share any yet. I usually grill whole sardines. This looks interesting. How did you manage to remove the bone and fillet the fish? Only a few stores here carry fresh sardines and they usually clean and give. Next time will ask them to fillet it for me. Thanks for linking it to seafood feast. Thanks Usha.I had been busy these days.